Welcome to Sunrise Estates, located just 4 minutes to Lickman Hwy exit. Custom built 3200+ sq. ft. home designed to capture the breathtaking valley/city views. 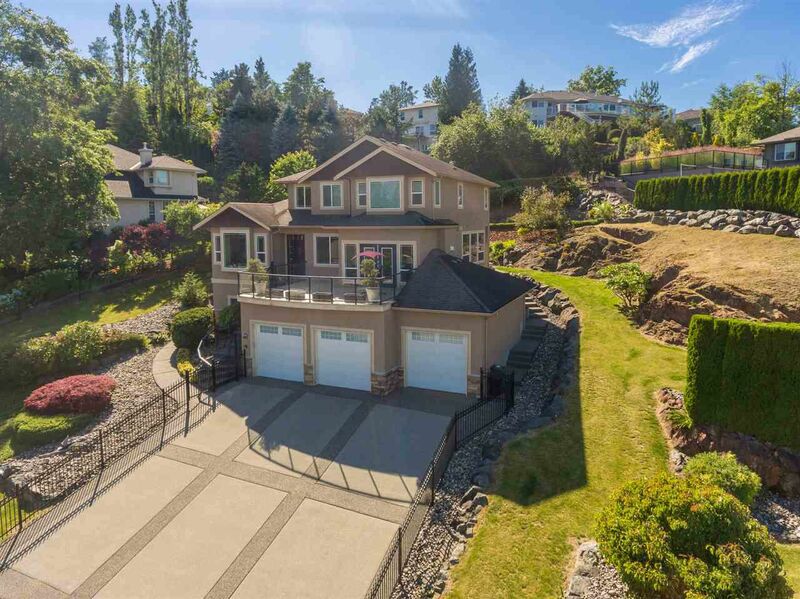 This home has amazing curb appeal, offering a huge driveway & 3 car garage big enough for toys or workshop with 220 power. Main floor has formal dining/vaulted living room - open island kitchen w/ breakfast nook and family room. French doors showcase the sundeck & valley views. Just up the stairs you will find a master retreat fit for royalty, offering a 5 pc ensuite, walk in closet, 2 good sized beds & 4 pc bath. Lower level boasts theater/ent. area, yet another bath and two rooms with a separate entry. Fully fenced.